I am a director. My vision has given wings to stories, flesh to characters and panache to words. I do not have a cinematographer, a costume designer, an art director, a make-up artist, a special effects supervisor. I do that myself. Alone. I have the power to dissolved away my surroundings. I have the power to be deaf to tyres scraping on roads, to honks hammering my ear drums, to mouths producing conversations, to songs blaring out of machines. There are times when the car dismantle around me – strips of metal fly away, the seat dissolve beneath me, the humans vanish in fumes – and then I am sitting alone, ready to direct my movie. Ready to be devoured by what I love the most. My private universe. I open the book and my fingers melt into the pages and then I am somewhere else. I am a time traveler. The idea was breathing with me. It was not planted but surfaced at the right time. It took time to evolve but soon I was directing books instead of reading them. It started in the 90s. 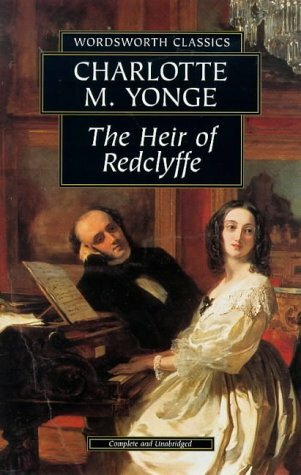 Like the rest of India, I was awestruck by DDLJ and my directorial debut was a Shahrukh-Kajol starrer named The Heir of Redclyffe by Charlotte M. Yonge. Tears trickled down my cheeks when Guy Morville (played by SRK) dies of a fever leaving a widowed Kajol behind. Yes, such was the magic of my directorial debut. SRK and Kajol played numerous important roles in the classics like The Wuthering Heights (although I replaced them with Hrithik and Kareena in a remake later), Rebecca, Gone with the wind, Anna Karenina, The Scarlet Letter etc. The list is endless. While SRK and Kajol reached the heights of stardom by featuring in my movies, Aamir was as usual sulking. 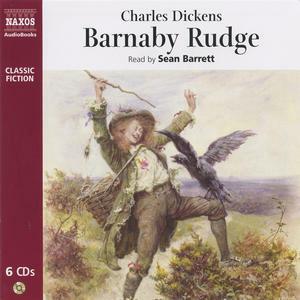 So, I threw an occasional Barnaby Rudge and Jude the Obscure towards him. You might throw a spear of a question towards me asking why were Bollywood actors playing Caucasian roles? It was, dear readers, an alternate reality. It was supposed to be insane. It wasn’t just the classics where the Bollywood actors were shining. SRK (! ), Kajol (!) and Saif came together for The Fountainhead. Who played Ellsworth M. Toohey, you may ask. Nasseruddin Shah. Movies like The English Patient, Sphere, Birdsong, The Bind Assassin, 1984, Life of Pi etc kept coming out with Bollywood actors till the director in me outgrew the SRK-Kajol pair and wanted something more. I wanted to work with Foreign actors. And thus started an era of movies where I worked with Jack Nicholson, Tom Cruise and Brad Pitt in A Finkler Question, Japanese actors in Memoirs of a Geisha, Black actors in The Colour Purple and countless other movies. 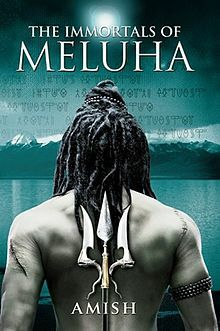 Soon afterwards, my nation started calling me back and I did The Immortals of Meluha with Hrithik as Shiva. A new idea was germinating. I wanted to go for collaborations. Sometimes blind ones. I picked up The Wheel of Time. 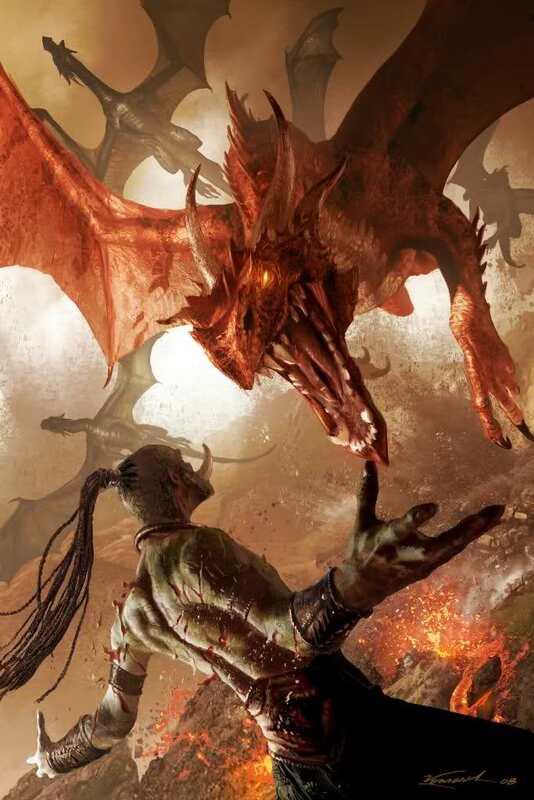 It was an epic 14 books fantasy series and a huge star cast was required. I had no idea what the story was and hence I randomly assigned actors. It was a gamble but it created results seen never before on the screen. Katrina was paired opposite Brad Pitt. She almost fainted at the proposition. Kareena became the Amyrlin Seat (after uprooting the wicked Angelina Jolie) with a lost puppy of a Matt Damon trailing her. Yes, who would have thought? Priyanka Chopra ended up as Bradley Cooper’s sister. There were minor hiccups like Aishwarya Rai falling in love with Amitabh’s character, but then we were playing blind, weren’t we? I read A Song of Ice and Fire Series next and had an equally enchanting star cast lined up. And then The Malazan Book of the Fallen happened. It was strange to see Amitabh and Hrithik playing Gods. It was strange to see Rani Mukherjee and Tobey Maguire together in a scene with A.K. Hangal in the background. It was strange to see Aishwarya playing Empress Laseen talking to Sergeant Whiskeyjack played by Arnold. It was strange to see Ashmit Patel (a slave and a mistake) trying to calm down a weeping emperor played by Johnny Depp. It was strange to see Kareena commanding an army with George Clooney standing next to her as a sergeant and then she goes ahead and kills Kristen Stewart of Twilight fame (they played sisters). In the end it is not just about the actors but about the visualization – the costumes, the makeup, the backdrop, the special effects, the music and the acting. It is about watching a book and enjoying the experience. I assume it is an art we all possess but the limits vary. This is another reason the movies in the real world never live up to the books. I have already created them in vivid details in my mind. I have already seen them. I have already directed them. Nothing comes close to the joy of carrying a world at my disposal in my brain. There are moments while turning pages when I forget that I am turning them, when I forget that I am physically outside the book, when nothing exists except the screen. One good example was ‘The Colour Purple’. The movie complimented the book beautifully. The Hobbit is also pretty good. Ahh…the flight of imagination. SRK nd Saif in Fountainhead sounds interesting. And there’s Ashmit too…..I thought he was exclusive to a certain Ms. Maliks imagination. Yes, I took them 10 years ago but may not take them at present if I decide to make a remake. And Ashmit was a mistake. A terrible one. I gave him the role because I thought it was an insignificant one. The lucky dog had almost every other scene with Depp. A bit of a diversion.I want to thank you to this treasure trove where i can refresh my memory of books read long back.I read Rebecca just now & loved the recap.Never knew wikipedia does this too! Well, I am glad that the post was of service. Wikipedia is good for a brush up especially when you are reading a series. Sir, I am flabbergasted by the fecundity and fertility of your imagination! But true, cinema can never dare to replicate the perfectness of characters, scenes and images worked up by the brain. You have capture the feeling of being engrossed in a few deft strokes of your pen. It was also a superb way of expressing your love for books. Wuthering Heights is an eternal favourite of mine too. It took me some time to develop it completely. It is at a very advanced stage right now and I am completely enjoying it. I don’t think I would have loved books this much had I not created this mechanism. Somehow it shows I love movies as much as books and a combination is what gives me an ultimate high. I took them a long time back. 🙂 They suited the roles then and I was in awe of them. If I make the movie today, I might take Bradley Cooper and Emma Stone. You are absolutely right! Books have a larger canvas and they give fuel to our imagination. Reality often falls short of imagination! Absolutely. Somehow movies always fall short because you cannot explain three pages worth of emotions written in a book in a single scene. A lucid account of some immortals with generous sprinkling of flights of fancy! Contrary to popular opinion, I like to watch more than read!!! I’m unable to justify this given that I myself like to write. Maybe if I read the book before the movie, I would know. Sometime I read after the movie has impressed me. If I have watched a movie, I cannot go back and read the book. But I can do the other way round. I am easy on background score nowadays. I use it when it is extremely necessary. Oh I totally agree! A movie can never do justice to a book! Very well written piece, I must say. Fairly sinister – to B(H)ollywoodize in your head every book you read! After watching Joker, Tees Maar Khan and Rowdy Rathore, I can only visualize Akshay Kumar playing every single character ever written in every single book out there. I think I may be broken beyond repair. I think all of us imagine things when we read a book and some of us develop that ability more than the others. Thanks Swaram. I think there are some very rare movies that live up to the books. 🙂 But yes, a majority of them fail. This is how I too read books. Only difference that my actors do not limit to hollywood/bollywood but also to miniscreen actors, ad models, my friends, neighbours, relatives, random persons I have seen in the bus stops….. I need to visualize every words I read. A movie screen is always running in my head. I guess he has that look required to play Toohey. I have read Fountainhead twice and the second time, I too Priety Zinta as Dominique Francon. She has that maverick attitude required for that role. I think I love books and movies both. Both of them are an ode to imagination. Hahah…at one point, I was thinking, OMG!! so many movies were made and I don’t know even one of them… :P…seriously!! I have seen a couple of Nicholos Sparks’ romantic flicks and they looked like a documentary to me..not like a movie..I felt his books are better than a movie. Hahaha! Good that you realised that I was talking about the books. I think I saw The Notebook (don’t remember it much now) but I kind of liked it. Haven’t read the book though. Now that I think of SRK, that does sound funny. I hardly use him nowadays. I think all book lovers do this – direct a movie in their heads while reading a book. I’m guilty of it too, but I haven’t ever really imagined the way you have. I can see places, scenes, people in my head, but I have never tried to fit in Bollywood/Hollywood actors into the characters of my books. what a fertile imagination – i suppose i should stop casting myself in every role in a movie adaptation of books! a bit like the scene in “being john malkovich” when he enters his own “portal”!! I always like to say, writing/ reading is an exercise in solitude. It’s when the voices in your head come to life. Now all you have to imagine is Hugh Jackman dedicating his Oscar to you. And there is this whole world sitting in my head quietly all day and comes to life when I open the book, so much like the jungles of Pandora in Avatar. wow! My first time here and I am smiling to myself–what a lucky discovery! Great piece. I remember at TSBC recently this question was asked. Your piece answers it so well. Yeah, it is that engagement piece –the way we receive and interpret a good book that makes another director’s cut so unsatisfying. It is very rare when I have liked a director’s vision more than mine because I imagine it in so much detail. A book is very hard to match when you create an actual movie out of it. In real world, the director limits the director’s imagination because of time and money constraints.